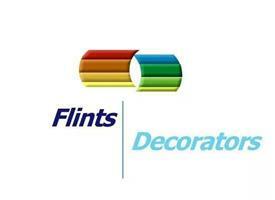 Flints Decorators - Painter/Decorator based in Ilkeston, Derbyshire. Combining years of experience with a more personal and individual approach, we are extremely proud of our work and this can be seen in the high-quality results that we both promise and deliver. We take great pride in the quick, efficient and high-quality results that each and every home deserves. Our services range from maintenance and up-keep to refurbishment and design, so there is nothing we cannot help you with. We offer a free, bespoke advice and quotation service on all aspects of painting, decorating and design - no job is too big or too small. Please feel free to call or email us with your enquiry and we will arrange for a free, no-obligation quotation at your convenience. experienced in providing a friendly,professional, high quality service to our customers in both the private and commercial sectors.